The Internet of Things (IoT) will require reliable communications and connectivity to form networks and share data. Due to the vast range of use cases, applications, and requirements, there’s also a range of connectivity technologies from which operators, developers, and businesses/consumers can choose. Understanding the different characteristics of the key connectivity options is essential. This article explores the major dedicated IoT wireless options in some detail. 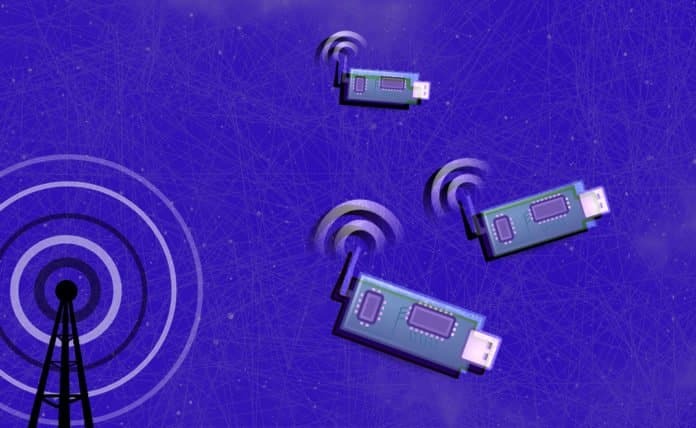 IoT connectivity technologies fall broadly into two groups—cellular-based and unlicensed LPWAN (low-power wide-area network). Cellular IoT technologies operate in the licensed spectrum, which ensures reliability through relatively consistent and standardized infrastructure. They generally support larger data rates, shorter battery life, and more expensive (but rapidly becoming cheaper) hardware. As a result, cellular-based IoT solutions are generally provided by larger operators and telcos that have access to licensed spectrum and hardware designs. Acquiring licensed spectrum is expensive. But what other options exist? There are variants of LPWAN that operate on unlicensed spectrum (free for all users), which are relatively easy for end users to deploy. These technologies have cheaper hardware and allow greater customization by the end user. The two main types of cellular IoT connectivity are narrowband IoT (NB-IoT) and category M1 (Cat-M1) IoT. Both are derived from cellular standards, with a key distinction being NB-IoT has a much smaller bandwidth (10x less) and therefore a lower transmission power than Cat-M1. Both cellular IoT technologies also have a very long range. NB-IoT is theoretically capable of ranges up to 100 km. The use of global cellular standards means that hardware is more easily sourced, device operational lifetimes are likely to be longer, and more reliability can be guaranteed by network operators compared to unlicensed LPWAN. For a majority of IoT applications, NB-IoT is the preferred choice over Cat-M1. The higher data rates provided by Cat-M1 are unnecessary and may impose higher costs. However, Cat-M1 provides mobility support, meaning that it’s more suited to large-scale networks with dynamic nodes, e.g. transportation and traffic control scenarios. Cat-M1 also allows voice data transfer—a major benefit for applications such as an emergency response. Cellular IoT hardware (i.e. the module used to connect a device to the wider network) can be more expensive compared to LPWAN (around $10 per module vs. $2), although this cost is rapidly decreasing as it gains more market adoption. In addition, because they can be deployed over existing cellular infrastructure, existing mobile coverage can allow IoT applications to enter the market quickly and without requiring the deployment of dedicated access points. Unlicensed LPWANs are more specifically designed for customized IoT networks with an emphasis on low data rates, increased battery life, and long transmission range/wide coverage. They are analogous to WiFi on a larger scale. End users can deploy LPWANs relatively easily with the right solutions provider. Two main variants of unlicensed LPWAN are LoRa (Long Range) and SigFox. Both stem from French companies and are specifically designed for long range, low rate, and high battery life devices. Coverage range can be up to 10 km or more. Compared to cellular alternatives, device connectivity costs for these variants are generally cheaper (around $2 per module, sometimes less), making them more attractive for local and/or small-scale deployments. There is currently no single prevalent IoT connectivity technology given the varying range of requirements for each sector’s applications. Rather, families of technologies, which together connect devices to form their own IoT network, have become the norm. The use of IoT for different industries, which all have different requirements in terms of battery life, range, data, and cost, naturally means that some IoT connectivity technologies are better suited to particular industries than others. Several other connectivity options exist for devices, some which are already mature and used for existing applications. Wi-Fi, Bluetooth, NFC, Zigbee, and satellite are among the common wireless technologies which connect everyday items such as home entertainment systems, medical devices, smartphones, and door openers. A true IoT will contain a healthy mixture of different connectivity technologies, using different tools to solve specific problems within a hybrid network.